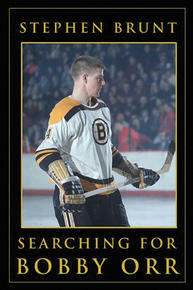 Then there are the hockey books, perfect for those dads for whom the Stanley Cup playoffs ended too soon: Stephen Brunt’s Searching for Bobby Orr , David Adams Richards’ memoir Hockey Dreams, or Steven Galloway’s novel Finnie Walsh. We put out the call on twitter for #pucklit and came up with some other great suggestions including Cara Hedley’s Twenty Miles, Jeff Lemire’s Essex County, Cold-Cocked: On Hockey and the Literature of Sport by Lorna Jackson, Night Work: The Sawchuk Poems by Randall Maggs, Salvage King: A Herky Jerky Picaresque by Mark Anthony Jarman, and Paul Quarrington's King Leary, of course. Ian Brown writes about fatherhood in the award-winning The Boy in the Moon, the story of his extraordinary son. David Gilmour tells his own story in The Film Club, about how he reconnects with his teenage son through the movies they watch together. 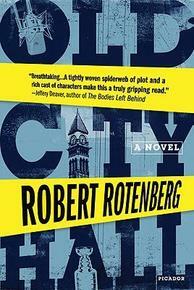 Gilmour also wrote about fatherhood in his acclaimed novel A Perfect Night to Go to China, and so did Robert J Wiersema in the Bedtime Story. 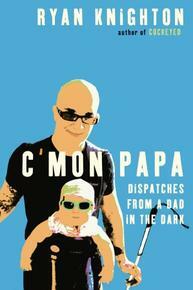 Ryan Knighton’s memoir C’Mon Papa is a story about parenting blind, which is a perfect metaphor for the way that every dad has to do it. And Dan Hill looks back on the man who raised him in I Am My Father’s Son. 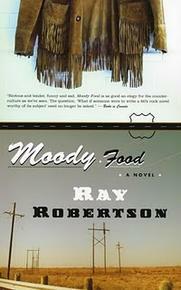 We recommend Mark Sinnett’s The Carnivore and Ray Robertson’s Moody Food for nostalgic dads, which take a look back, respectively, at 1950s’ and 1960s’ Toronto. In Camilla Gibb’s The Beauty of Humanity Movement, a young woman searches Hanoi of past and present for traces of her lost father. Johanna Skibsrud’s The Sentimentalists is also about woman who has lost her father to Vietnam, and she constructs his story from the fragments she has left of him. Alison Pick’s Far to Go tells the story of a father who gives up his son to the possibility of safety in Austria on the brink of WW2. And Karen Connelly’s The Lizard Cage, the story of an imprisoned Burmese dissident who becomes a father figure to a young boy in the prison, is as poetic as it is suspenseful. Speaking of poetic, Zach Well’s collection Track and Trace is all frogs, tails and puppy dogs tails (plus a cormorant that’s blown to pieces in mid-air). 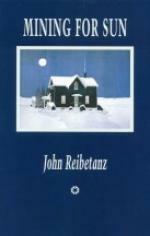 John Reibetanz writes about fatherhood in his collection Mining for the Sun with lines like, “You learned how hard simplicity/ and straightness are to make when all you’ve got/ are grown-up tools, heavy, awkward to wield” (in “Cutting Board”). And finally, for some dad-pleasing short story collections, do not hesitate to turn to Jack Hodgins’ Damage Done by the Storm and Alexander MacLeod’s Light Lifting. Anything we've forgotten? Tweet us your suggestions using the #dadlit hashtag.